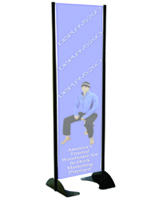 Designed to be mounted outdoors, this 20” x 72” black permanent banner stand is ideal for parking ramps, bank islands, restaurants and more! 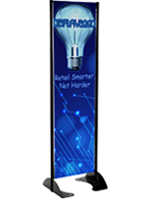 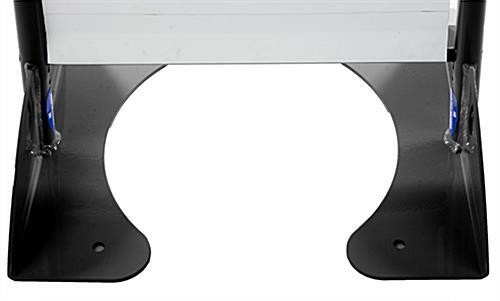 Crafted from 100% aluminum with a powder coated finish, each advertising display solution is a solid unit which can withstand up to 60 MPH allowing the fixture to survive the elements for years. 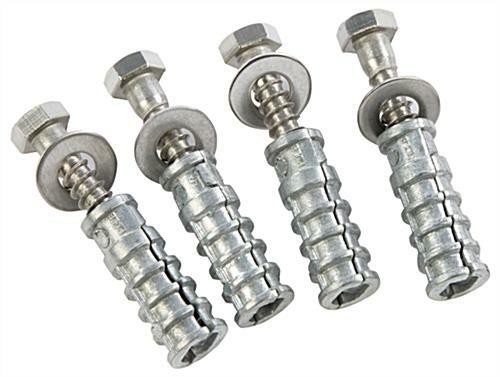 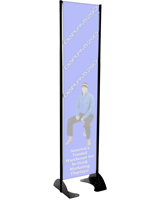 Each outdoor mounting banner stand features a spring loaded tension bar which keeps a vinyl advertisement tightly in place when in use. 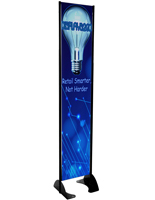 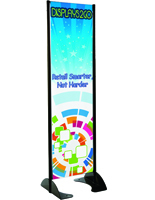 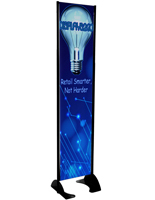 The display solution shown here accommodates interchangeable advertising posters in portrait orientation to give your company’s custom message maximum exposure. 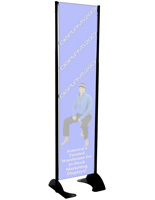 Each banner stand is sold separately from the graphics which can also be purchased here on our site. 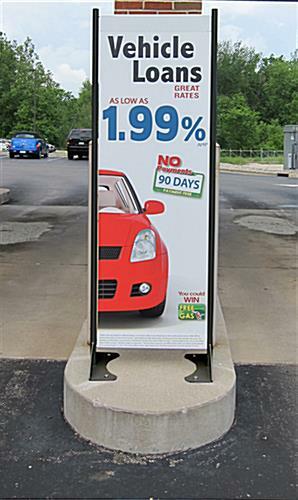 This vinyl poster display is made in the U.S.A!